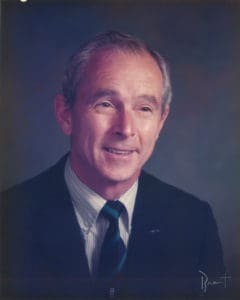 NOTABLE NU: James H. Keeffe Jr.
James Keeffe Jr. was born March 12, 1923, in Sioux City, Iowa, the third of six children. At the age of ten he went for his first ride in an airplane, a small bi-plane piloted by his father, and instantly acquired a love for flying that would shape his life. Early in 1941 Keeffe joined the National Guard and later that summer he entered the Civilian Pilot Training program learning to fly at a small, grassy air field in Issaquah, Washington. 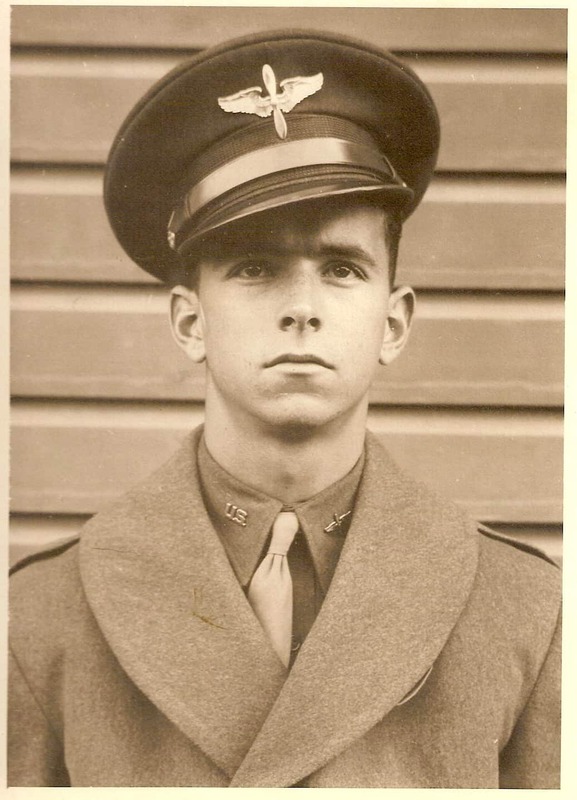 Shortly after the bombing of Pearl Harbor the 19-year-old joined the U.S. Army Air Force and, after months of rigorous training as a B-24 heavy bomber pilot, he and his crew arrived in England to begin flying combat missions over Europe. On the 8th of March 1944, during just his 4th bombing mission to Berlin, Keeffe’s airplane lost two engines to enemy fighters over Holland, catapulting him into a world squeezed colorless by the ever-tightening fist of Nazi occupation. Moving from safe house to safe house with the help of the Dutch Underground, Lt. Keeffe, in plain view of the enemy, evaded capture for five harrowing months. During an escape attempt through Belgium he was betrayed, captured and transferred under armed guard to the infamous German prisoner-of-war camp Stalag Luft III (he arrived just a few months after the famous “Great Escape”) where he was a POW for the next 10 months. On the 29th of April, 1945, Lt. Keeffe, along with 130,000 other allied POWs, was liberated by elements of the 14th Armored Division under General George Patton and returned home to his family. After the war, Colonel Keeffe enrolled at UCLA, becoming an initiated brother of Sigma Nu in 1950 and went on to earn a degree in Meteorology. 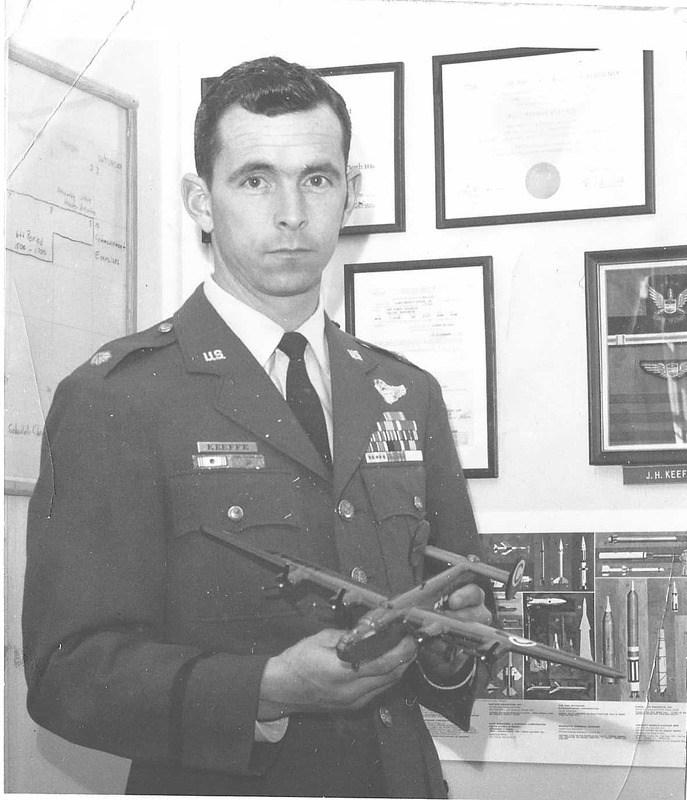 Following a period of employment with United Airlines, he joined the newly formed U.S. Air Force and became a fighter pilot and weather officer. He was commander of several combat weather detachments serving in Korea during the Korean War and throughout the Cold War. 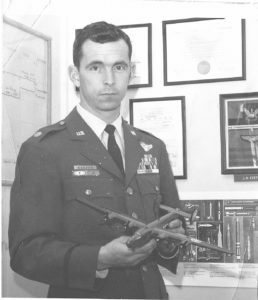 In 1966, after logging over 6,000 hours of military flying and earning many awards including the Bronze Star, the Purple Heart, the Air Medal, the POW Medal, the Air Force Outstanding Unit Award, and the Air Force Longevity Service Award with 4 oak leaf clusters, he retired as a Lieutenant Colonel and Command Pilot. Following his retirement, Keeffe went to work for Boeing and raised his family in a suburb of Seattle, Washington. He would become active in Bellevue politics, serving on the Bellevue City Council and the East Bellevue Community Council for many years. 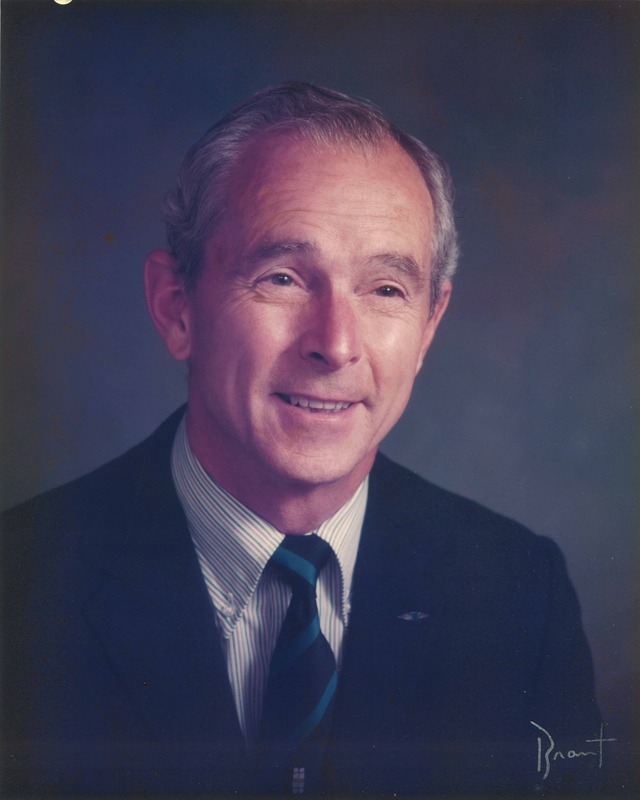 The Sigma Nu Brother continued to fly at every opportunity, in every form of aircraft imaginable, from balloons and ultra-lights to jet fighter aircraft until his entrance into Chapter Eternal at age 92. For more about the incredible life of this Notable Nu, read the book “Two Gold Coins and a Prayer” penned by Keeffe’s son, which tells of his father’s incredible trials during WWII.